KYNO Media Management Software Standard to Premium Upgrade provides a seamless upgrade to the full, Premium edition of the software, adding features like RECODE RAW and P2 format support, transcoding to DNxHD, the ability to create MXF files, and more (see a full list in the Features section below). KYNO Premium allows DITs and other creative professionals to work directly off storage media without having to import or transcode files. Connect your hard drive or storage card and view files, annotate them, create subclips, and add metadata directly from KYNO Premium. Then you can import only the assets you want. Instead of dealing with formats, sources, and locations, you can organize, search, ingest, preview, and backup your production media with KYNO Premium, compatible with Mac and Windows. KYNO streamlines your workflow from camera to edit with features like verified media backup, metadata editing and export, a universal media player, a versatile search function, and an intuitive interface. KYNO Premium's easy-to-use media browser seamlessly allows you to back up and view content across multiple hard drives, SD cards, or camera media. It offers the ability to search for and sort all your media based on parameters like frame rate, resolution, and more. The universal media player can preview a wide range of professional video formats, still images, and audio, as well as apply LUTs when viewing Log footage. KYNO Premium also provides the ability to edit metadata and export reports and shot lists to an Excel spreadsheet. 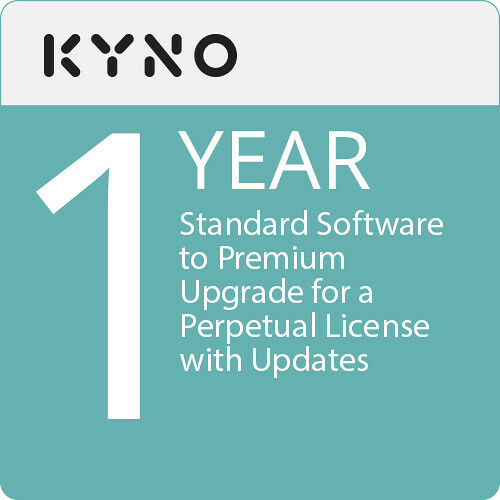 This license consists of a permanent version of KYNO Premium with one year of software updates. An additional year of updates can be purchased after the first year or beyond that time.